CEASE and DESIST Daily Architecture Design (dailyarchdesign.com)!!! 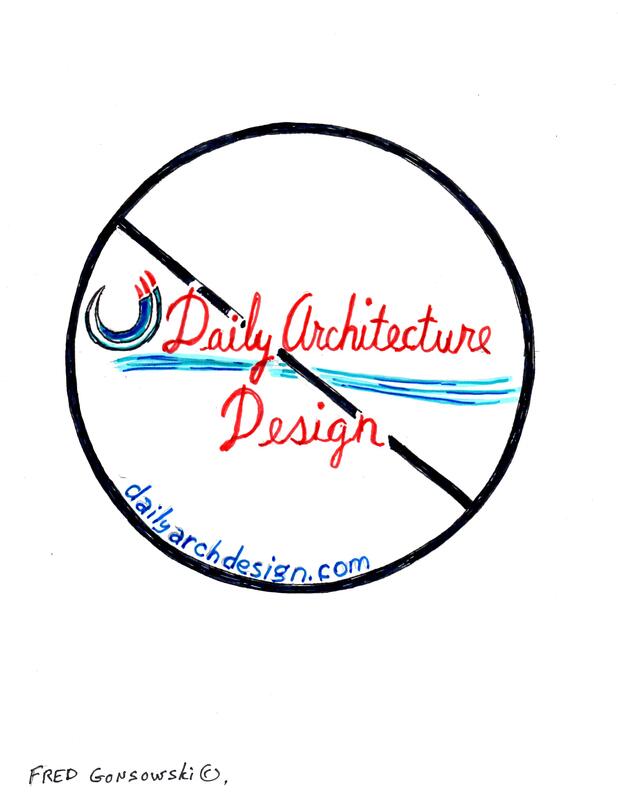 Daily Architecture Design (dailyarchdesign.com) stop using my posts on your website! Recently after google searching the title of one of my design articles, I noticed on the domain that a website called Daily Architecture Design (dailyarchdesign.com) aka Daily Interior Architecture Design, without my permission, republished some of my blog posts, in their entirety, on their website. I read a few of my posts that they put up and saw that they randomly changed the wording of the articles, here and there, to kind of make the posts read a bit differently from mine; which to me made them read poorly. The Daily architecture Design (dailyarchdesign.com) used all of my signed original illustrations that I made for my website, photos I took myself and even photos of me, if I included a picture of myself in any of the articles I wrote. In the past, other websites have used illustrations of mine for posts they were writing and linked my illustrations back to this website so a person could see where they originated from, and be able to read the full article I wrote; I am fine with that. But, the Daily Architecture Design (dailyarchdesign.com) does not link back to where the original information comes from, ask for permission, or pay for the rights to use my works in full. The Daily Architecture Design also, on occasion, kind of changed the titles of my posts so they would land in different parts of the domain, away from what I originally wrote. An example of this is (my post title) Interior Decorating Ideas for a Small House, Condominium or Apartment, (the Daily Architecture Design’s re-titling) Interior Decorating Ideas for a Little Residence, Condominium or Apartment. So now you have the title changed, the wording of the article changed here and there, but all of my original signed illustrations are still in their renamed piece. To my readers, If you come across a post that has my original signed illustrations in it, photos I took, or even images of me in it, but it does not link back to my site Fred Gonsowski Garden Home.com, I say leave that website and come here to where the post originally came from, so you can see exactly the way I wrote it just for you. To the Daily Architecture Design (dailyarchdesign.com) I say Cease and Desist, stop using my post on your website, and take down the ones of mine that you have already posted!!! 33 Responses to CEASE and DESIST Daily Architecture Design (dailyarchdesign.com)!!! Very unethical, to say the least! Unfortunately, this type of thing is rampant. I am glad you discovered this, Fred. Hi there Alice, Always something to have to handle; I think it would be wonderful if websites like that just started a Pinterest page, and pinned sites and articles that they liked, and called it a day. Thanks for your comment. I am a retired teacher and this type of thing went on all of the time. Students would hand in essays which were evidently plagiarized. They just changed a few words and that was it. By googling a sentence or two from their essay, it was easy to find the source where it was copied. By the way, I wanted to thank you for the helpful information you provided in regard to your post about lamps; it was the best one on the Internet. I have two table lamps on backorder that I will be purchasing for the end tables for my new bedroom set. My husband and I were going crazy because all of the lamps we liked would have sit too high above the headboard. They would have really looked very awkward. Finally, we found the right ones which went along with your guidelines. We know they will be perfect, thanks to you, Fred. Unfortunately Fred it’s only a matter of time before good blogs get scraped. Odds are there are other sites stealing your posts as well. Unfortunately posting a cease and desist notice on your blog does nothing. You need to contact them and if that doesn’t work you go after their page host who will dump them. Also search Pinterest. If people are your content and it leads to their page, you can file a complaint with Pinterest (it’s a very easy form) and they will remove it. Good luck. Hi there Erin, I made the correction to my comment. I put the post up late, after a long day of activities, and to the tired me, it read OK. Today I see it did not. I found their pinning by google searching my website and a title from one of my posts; then I went from web to images, and hovered the mouse over the different pictures and looked what they were linking up with. It will be interesting to see what they re-post next; as I suspect they are one of the Plus Follow subscribers to my site. Erin, they are SOO nervy that they reblogged this post that I wrote against them, there it is http://www.dailyarchdesign.com/home-decoration/cease-and-desist-daily-architecture-design-dailyarchdesign-com/ can you imagine that! Fred I just discovered your blog and I love it! I have been looking for guidance and ideas to revamp the yard of our recently purchased older home and am so excited to try some of your ideas. Keep up the great work! 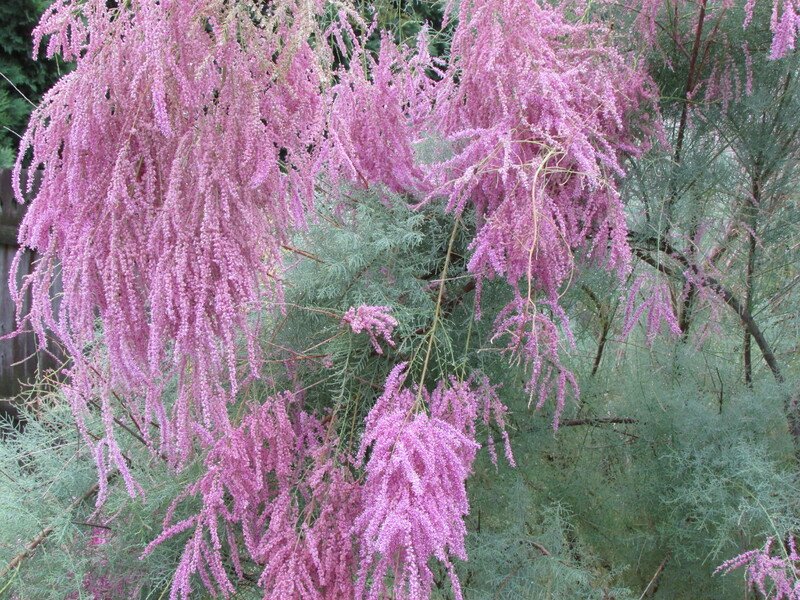 Hi there Susan, thanks for the comment, and will be posting new articles, once I get my own garden in order (Spring Cleanup). Outrageous and sickening. This is fraud and thievery. They are picking your brains for their own personal gain. Find a lawyer who specializes in Intellectual Property Law. Surely there must be some recourse? This is the best interior design website I have ever found. As an engineering student with a creative spark I have always looked for a source that would simply outline the basic principles of design to create an attractive yet functional living space and you have all that right here! It is illegal for anyone to pass off the images of as their own, and you could easily press charges against them for the misuse of your intellectual property. My advice would be to sign your name, website, copyright (and date) on the corner of each picture. Many websites prevent users from copying images, perhaps that’s a modification you could look into. Fred, they did the same to me. Several posts just lifted! ugh. First of all, I have a plugin called wordfence. Using that, I found their IP address and blocked it. I’m also going to look into what else needs to be done to thwart the thieves. There is no pressing charges. Dude is in Ankara, Turkey. I did contact the web host which is Go Daddy. I would put the url in here, but I don’t this to go to your spam filter. They have the authority to take this stuff down. Good luck and feel free to contact me if you wish. Hi there Laurel, thanks for your comment. I’m past busy with everything that life has put on my plate. When things settle down, and it will, I will be back to the blog, which I’m sad to say, is at the exact end of my list of things that I have to address. Hi Fred, I would like your expert advise on my living room area. It’s totally out of whack and I’m trying to make it work. I can send you pictures but dont know where 🙂 (no contact me tab). If at all possible, I would like your advise because many have tried and failed… Looking forward to your response. Thanks. Hi Fred! Just came up on your blog today when doing a search for the proper height for a table lamp. Thanks! By the way, do you ever sell your colorful sketches? Or if they are actually paintings, I’d love to know the cost. They’re fabulous! Hi Fred, I for one miss you and stopped by to wish you well. You have been a wonderful inspiration to me and your archives are a trove of brilliance. Hi there Suzanne, life has been past busy for me for almost a year now, so the blog has had to be put on hold. My garden has not even been maintained as I like this year, really it is the garden of “Needs Weeding” and a number of seedlings that I started in May are still not planted. I would say that sometime in September, it will be business as usual, and you will be seeing a number of new posts. I miss posting, but it is what it is. Suzanne thanks for commenting, it really means a lot to me! I hope I haven’t been an offender. I am a regular commenter at Houzz and I have sometimes linked your charts there to illustrate to dilemma posters how to measure, make choices, etc. i don’t change anything; just post the beautiful and practical visuals which are so helpful. Your name is always on the charts and I often tell posters to check out your site for more great information. I didn’t know about your “cease and desist” until I just clicked in to see if you had any good illustrations of valance styles I could share with someone who needs a finishing touch at their windows in a gorgeous room I think you’d appreciate. What would be the guidelines for future reference? Should I simply post a link to your website so they can visit? The chart I’ve really relied on is the lamp and table height one. I think that is the #1 dilemma I see – people have no clue! .Keep up the great work – we love it. Hi Paula, I have no problems with people using my drawings and parts of my posts on their websites as long as they link them back to my site. The DailyArchDesign.com are a whole different thing, as they don’t link, change out part of the post using words that make the articles dumb as ever, and they even have used a few photos of me. Soo TACKY on their part. Thanks for your support, soon I will be posting new articles. My life has been past busy for the last year, and the blog has had to take a backseat to everything else. I am grateful to the many people who send readers this way, even if the topics have been written in the past. First of all, thanks for your posts and especially the drawings, your site has its own bookmark folder. If you’d do an image search for your drawings, unfortunately you find many sites stealing your images without credit, some even removed your signature. If I have the time, I leave the link back to you in the comments. Fred, I only recently found your site and it is incredible! I’m sorry to hear that another website is poaching your content. I actually work in digital media and marketing and unfortunately this is behavior is rampant all over the internet these days. The need to drive new contest for site ranks has many webmasters scrambling to steal great content anywhere they find it. Hi there P.W I’m planning on posting new articles some time in September. This past year has been very busy for me. One of my family members had a major health issue, which turned into many weeks in the hospital, both last August and this past April-May, and a stint in a rehab. Having to be there for a loved-one left me with no time for the blog other than eliminating spam and answering a question here and there. Hi Fred, I an wondering if you are taking small projects such as looking at the pic and making an advise. Please let me know if you take such projects and how much it would be. Thanks so much for your insightful article on selecting lamp heights! I just recently discovered your site and am currently working my way through your other decorator advice articles to avoid making mistakes in our new home which is now under construction. I will be purchasing new lamps for the living room and den and now armed with your guidelines on table plus lamp height will make the right choices. Unfortunately, I have not found an answer to a current dilemma and hope that you will consider doing a piece on how to deal with problem windows. In my case, the builder placed two 5 foot windows 18” apart on the same wall in the living room instead of immediately adjacent to each other for a continuous 10” window. I am unsure whether to use just one rod spanning the entire 10’18” or to place a stationary panel on the 18” space with one way draw draperies over each of the 5’ windows. Any advice would be most appreciated. Hi there Susan, have you looked over my posts…The Right way to hang Curtains and Drapes, Hanging Valances, Curtains and Drapes on Different kinds of windows those two articles might be of interest. Also look at the right side of my blog and you will see the word Categories, and under that different titles of the kinds of topics that I’ve written about, click on the titles and you will see all the different posts that I’ve made so far on that topic. Some titles have pages and pages of posts on the topic, so make sure you go right to the bottom of the screen and click on more if there are more. Sue, one option for you would be to do the stack back described in my first post and have one large rod with panels on each end, making sure there is enough fabric to cover up both windows and close in the middle when the drapes are closed. You could hand something like a gorgeous mirror between the windows to fill in the space and give some extra interest between the windows. Option two would be to have the big rod, have panels on the sides to frame the two windows and then install a honey comb shade on each window that is top down, bottom up for privacy and light control. Option three would be to install a roman shade or some kind of fabric roller shade above the tops of the windows and have enough fabric in them to cover the windows completely at night. Best of luck with your new house. If a house is brand new or old, the first year is the worse year, and after that things seem to go easier. Old or new, issues arise that need to be addressed, like your window dilemma.